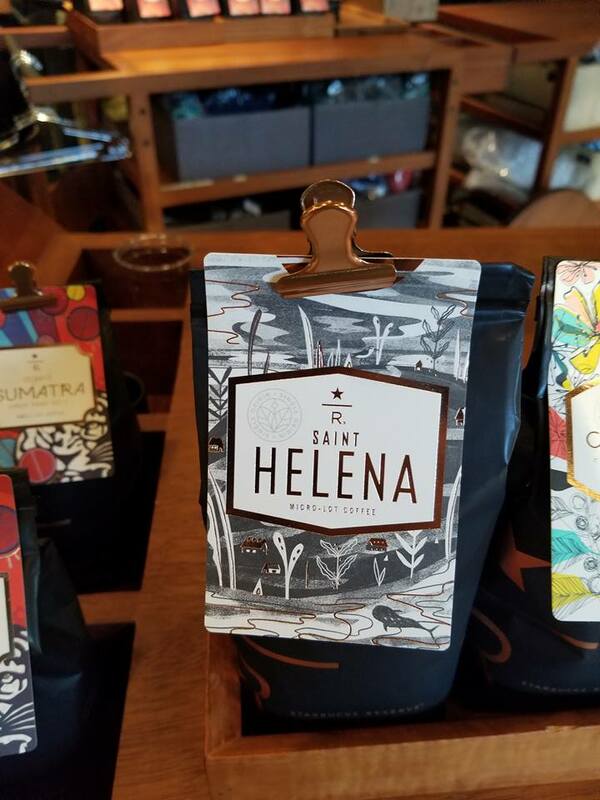 The week of September 11, 2017, micro lot coffee St. Helena appeared in flavorlock at the Roastery. It retails for $80 for the standard 8.8 ounce flavor-lock bag of coffee. Last year, Starbucks sourced roughly 200 pounds of it, and it became the most expensive coffee offering ever. 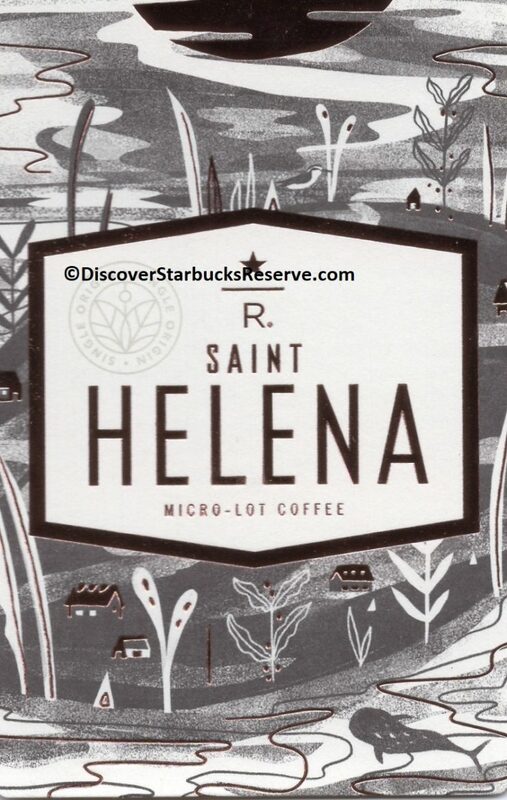 I’ve heard gossip that Starbucks sourced very roughly about 600 pounds of this as green coffee (which means it’s less after roasting), still easily making it a micro lot coffee offering. I will be trying it soon! Be sure to get to the Roastery now to get a bag because it will be gone quickly! 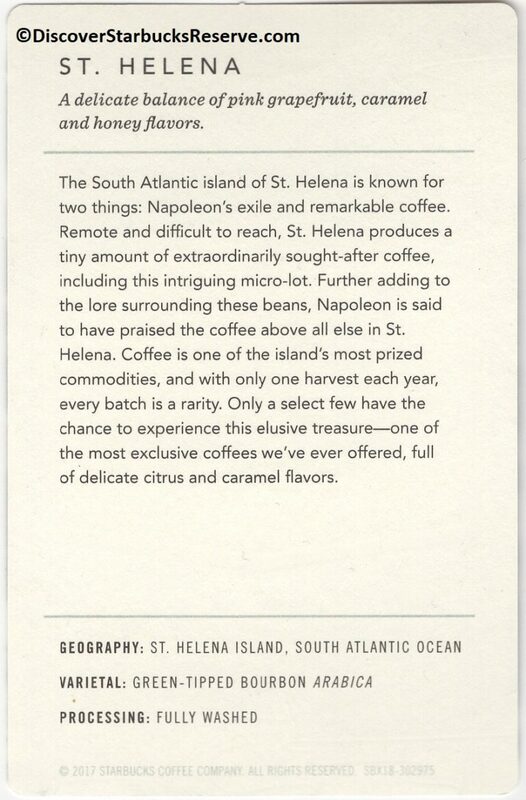 If you are a collector of these beautiful Reserve coffee cards, you can track your collection at DiscoverStarbucksReserve.com. The once-nicknamed "Stealth Starbucks" 15th Avenue Coffee & Tea closes permanently. You can mailorder the same beans from these guys and not have to fly to Seattle!